This was one of my first videos, and possibly the least viewed. I made this one in response to my friend, jbdodson, who made a video asking YouTubers to show their backyard grass, pretty much as a spoof of Razorsex's "YouTube Sandwiches" video. This video probably also has my worst acting ever, but I still think it's fun. 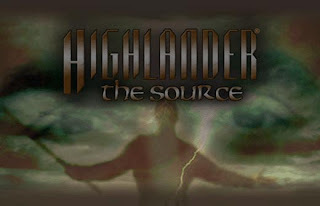 Last September, I watched the horrendous movie, Highlander the Source, and wrote a review about it. After reading that post again, I have decided to write a followup. This time I will talk about what I would have done different with the movie. Now, the budget was low and the dialogue was poor, but I'd say that the most disappointing thing about this movie was the lack of ties to anything previous in the series. This disappointment outweighs the low budget and all that other stuff. The previous movie, Highlander Endgame, took everything that the television series had built up and combined it with the movie series. With these two series combined, Endgame built up a further plot. Highlander the Source did not use any of the previous plot points that had built up. Instead, they attempted to start a completely different plot, independent of it's parent. The problem is, this new plot had absolutely no build-up within the movie. They just sort of threw us the new plot, as if they expected the previous movies to carry it. But with a new plot and changed character relationships you're basically telling a completely different story, so you need to lead up to the new story as if there were nothing before it. Sure we know who Duncan Macleod is, but we don't know this new, "changed" Duncan Macleod. You need to build the character, not just tell us, "by the way, he's different now." As for me, I would have began where the last movie left off. Conner, the original series hero sacrificed himself, giving his power to Duncan. 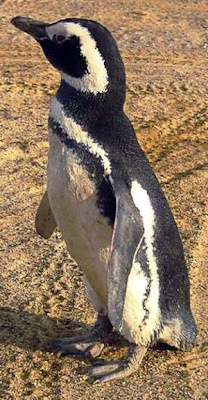 Up to that point, Conner was the hero of the movie series and Duncan was the hero of the television series. When Conner gave himself up, Duncan became the overall hero of the series. Reviewing and reinforcing this point in the movie would have given Highlander the Source the weight of the rest of the Highlander series. It may also have generated interest in the previous series for new viewers. Up to this point, the Highlander series has always been defined by the virtuous immortals versus the dark natured immortals competing for the prize. If one of the shady type immortals wins the prize, the world will fall, so the good guy immortals must prevent this from happening. In The Source, there is no presence of dark natured immortals. Instead, they have been superseded as villains by a character called, " The Guardian". The guardian is an immortal, but higher powers removed him from the quest for the prize centuries earlier. Now he guards what is called "the source" as it is presumably the source of the immortals. The only reason why he's even the bad guy is that the protagonists are looking for the source and he has to defend it. In the source, I would have included a presence of dark-natured immortals. I would have began with an alliance of dark immortals at war with an alliance of good guy immortals, which would have built up since Endgame. The dark alliance learns of and begins to search for the source, which results in the liberation of a darker and more ancient force, bent on destruction. This darker force becomes the new antagonist and now the good guys have bigger fish to fry. As a result, some of the dark immortals ally with him/her/it, while others make the decision to ally with the good immortals. I would also introduce a league of ancients; immortals older than the known surviving immortals, and long forgotten by all except maybe Methos. These would be the protagonist guardians of the source, instead of the gimpish antagonist used in the movie. In the Source, Duncan Macleod is declared to be, "a changed man", presumably darker than we have seen him before. The reason apparently has to do with a rejection from some woman that he was married to in between movies. The creators do not attempt to develop this character or create any familiarity with her. Also, movies like James Bond or Indiana Jones, where each installment stands on it's own, can get away with changing love interests with no questions asked. But the Highlander series, attempting to be epic, cannot pull this off. Now, Duncan has loved and lost many times over the centuries. In the first season of the series, they introduced a love interest named Tessa. Throughout the season they built up her relationship with Duncan, and then killed her off at the end of the first season. This was pretty much Duncan's big tragedy throughout the series. Why did this chick from The Source, who we never knew, make him a darker Duncan? Didn't Tessa already do that? Later seasons introduced us to Amanda Raven, on and off immortal love interest to Duncan. The series finale placed Duncan and Amanda together. Then, in Endgame, there was no mention of Amanda, but there was a new girl, Kate/Faith, who had a history with Duncan centuries back. If they wanted a dejected Duncan for The Source, they should have used one of these characters who we were previously acquainted with. Of course, they would have had to throw out the plot point of Duncan being able to impregnate her after entering the source, but that's all for the better. Nobody cares. And they should have included Amanda anyway, after leaving the two of them together in the series finale. 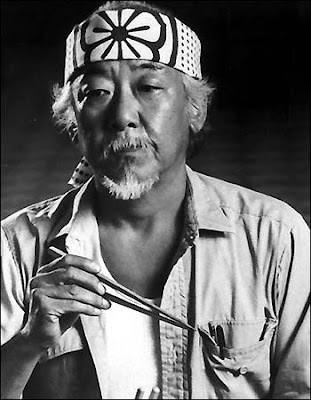 In the movie, Highlander the Final Dimension, there was a sorcerer named Nakano who had the power to make illusions. The bad guy, Kane, received this ability when he took Nakano's head. From this, Conner should have received this power after defeating Kane, and Duncan should have received this power when he beheaded Connor. But this factor has been left out of all other Highlander installments. In The Source, I would have included this factor, giving Duncan the power of illusion, and also creating a new concept. In addition to your average everyday immortal running about, now, after so many centuries, some of the immortals are becoming so powerful that they are gaining preternatural abilities. Now there's immortals, and there's super-immortals. This could be the explanation for the post apocalyptic state of the world, as all explanations for that were left out of the movie. Perhaps the warring factions of immortals, now that many have amped up powers, has resulted in the destruction of society. Of course, the ancients who I mentioned earlier as well as the even badder bad guy would possess these abilities. And finally, the sword. One major defining piece of the entire series is the iconic sword. Well, actually there were two. Connor had a Japanese katana with a white hilt and a tiger head on the pommel. Duncan had a katana with a white hilt and a dragon head on the pommel. These two swords were similar enough that they pretty much represented each other as "the" Highlander sword. I don't remember seeing Duncan's sword in The Source, but according to a review I read, a sword that broke in a fight scene at the beginning of the movie was apparently Duncan's katana. Now, breaking the iconic Highlander sword is like saying, f**k the rest of the series and f**k the fans who enjoyed it. You're gonna watch this new crap that we want you to watch instead. My initial thought is that the dejected Duncan should have been using a different sword in the beginning. Then, later on, a revived Duncan retrieves his classic sword. However, since there's actually two Highlander swords, the breaking of Duncan's sword could have represented the dejection of Duncan. 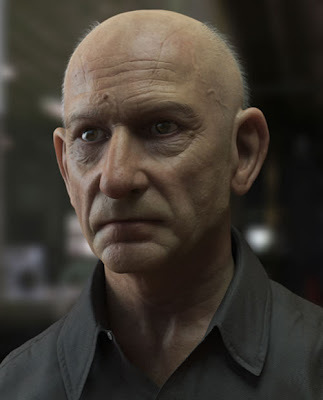 Then later on, a revived Duncan could take up Connors sword as a way of not only saying, "I'm back", but also fully accepting the legacy that Connor left him. How Many Second and Final Warnings do I Get? Really, maybe I'm wrong, but I was always under the impression that second and final meant; there are two, and there won't be any more. Apparently I was wrong. Ever since the beginning of the year I keep getting recorded calls on my cell phone saying, "This is the second and final warning. Your car's factory warranty is about to expire. blah blah blah..."
I remember the first time I got the call, I thought it was a legitimate call from the manufacturer. My thought was, "Hmm, I don't remember getting a first warning. I hope it's not too late." Then I got a second second-and-final warning. I suppose it's probably multiple companies that all have me on their list because some douche sold me out to them without my awareness, but the thing is, the first several calls I got were from the same number, meaning it was the same company giving me all these second-and-final warnings. Now I'm getting the calls from several different numbers. In the beginning they were out of California and now they're from the mid-west, but it's probably the same few companies, if not the same one altogether. In the words of Zipster08, "Who am I gonna have to screw to get off this list?" I wonder if these home shopping network people double as televangelists. 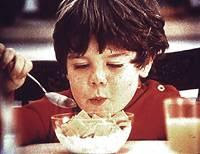 Claim: Little Mikey of LIFE Cereal fame died from the effects of mixing Pop Rocks candy with soda pop. I read a statement by Nalts; actually, I think he was quoting someone else, so it's really a quote of a quote, but basically it said that, "a new blogger spends a lot of time on their blog. An old blogger spends a lot of time on other peoples blogs." It's time for J-Dubb's Theatre to take on the ways of the old blogger in my new project, Dubb 2.0. I've blogged since September, 2005, and made YouTube videos since Febuary, 2007. During this time, I would browse other blogs or videos on occasion when the mood struck. I would even write the occasional comment. Interestingly, I created the Network series, a fictional video series about the slipping of "old media", and the rise of "new media", yet I wasn't fully taking advantage of what it was that made the new media different from the old media. As if myself and other internet content providers were merely new versions of the old media content providers. Under Dubb 2.0, J-Dubb's Theatre will be more than just another content provider. It will be a social outlet, connecting with other content providers. And Dubb 2.0 is a fitting name for this project; as the focus of web 2.0 is mainly social collaboration, it shares the same purpose as Dubb 2.0. 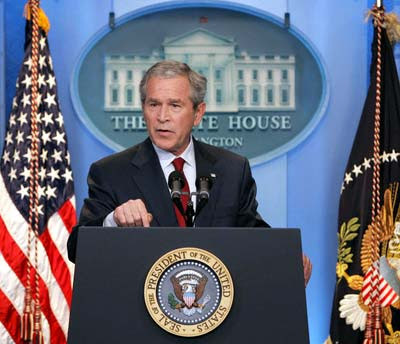 I heard on the radio this morning that George Bush has proposed a plan to cut greenhouse gasses. This seemed like a good idea, until he was spotted by several people running around a greenhouse with a pair of scissors yelling, "Come out now, you gasses! I know you're in there somewhere!" I shot this video a couple weeks ago, but I didn't want to post it here until I had a chance to write a full blog post. Well, that didn't happen, so here's the video. I was watching Nalt's videos this morning, when I found this one, which has a particularly familiar tune playing in the background.